Magnus Victor Anderson was a significant and prominent contributor to The Graduate Union. Elected President of the Graduates Section of The University of Melbourne Union, he became thence a founding member of The Graduate Union in 1953. The M V Anderson medal (and annual award) is donated by his descendants to recognise the achievements of graduates in a range of intellectual pursuits that require perseverance over a number of years and attaining important insights, and for their contribution to the collegial experience. The family commissioned Michael Meszaros OAM to produce the award medal which has an increasingly complex pattern of lines at right angles within a human profile that interacts with other overlapping human profiles. This design represents the internal workings of the academic mind and the sharing and development of concepts and ideas with other thinkers and influencers who understand the responsibility for application and societal good. Born in Carlton on 16th of September, 1884, M V Anderson was a prominent accountant in the early 1900s in Melbourne. Throughout his career he proved himself an adept practitioner, becoming increasingly influential and wealthy until he retired in 1956. He was a founding member of the Institute of Chartered Accountants and a lecturer in cost accounting at The University of Melbourne. He later served on the Council of the Australian Institute of Cost Accountants of which he became President. Magnus V Anderson and William Berry, the latter being the first Secretary and Warden of The Graduate Union, were ardent fans of the Fitzroy Football Club. Though this is disappointing to the many current Collingwood and Hawthorn supporters in the membership and on staff, they have been forgiven over time because of their shared equally strong support for The Graduate Union and Graduate House. Mr Anderson’s generosity to The Graduate Union is acknowledged through the naming of the M V Anderson Room in the William Berry (terrace) Wing of the college. Magnus Victor Anderson was an avid collector of chess books, in 1956 several hundred to the State Library of Victoria. The Library’s Chess Collection is now one of the three largest public chess collections in the world. Anderson personally looked after the collection and continued to stock it with newly purchased books for the next ten years. By the time he died in 1966, the M.V. Anderson Chess Collection had expanded from 1,500 to over 6,000 volumes. It now comprises more than 12,000 volumes. The Library has continued to acquire at a comprehensive level materials relating to chess. This includes all works published in Australia regardless of format, most books in English and major works in other languages, chess magazines in many languages and reports of tournaments from every country, a range of manuscripts and ephemera, novels and other creative works which feature chess and a number of different chess sets. The M V Anderson Room was opened in 1971 during the first year of Magnus Victor Anderson’s term as President of The Graduate Union and to acknowledge his generous gifts to The Union and his leadership on Council. It is an elegant and comfortable Member-only area used by both Resident and non-resident Members as a lounge and is referred to fondly as the Green Room because of its distinctive green-leafed wallpaper. 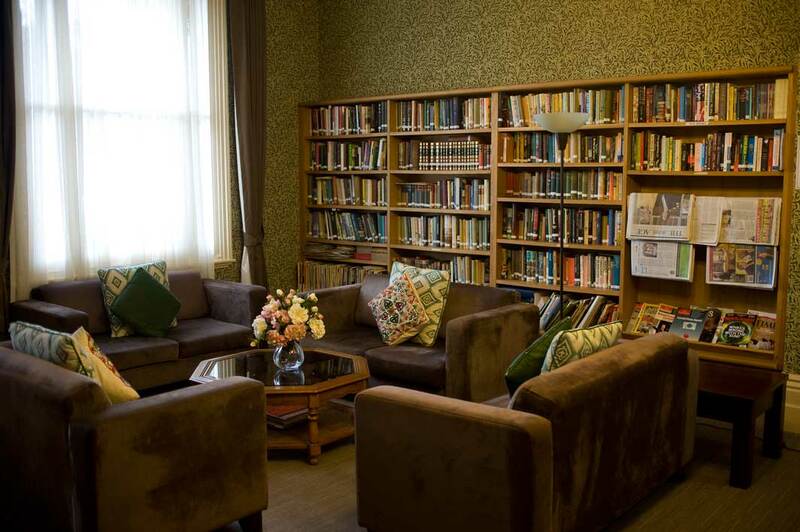 The M V Anderson Room houses part of the library that was initially established through a gift from Sir George Augustus Pape (1903 – 1987), an Australian lawyer and judge in the Supreme Court of Victoria from 1957 to 1975, who was knighted in 1968. The other half of this collection is housed in the Johnston Library just across the hall. The room also holds fine furniture donated by the Miller Foundation, twelve etchings by Adrian George Feint (1894 – 1971) and nine hunting engravings by Henry Thomas Alken (1785 – 1851) which depict comical, colourful and satirical caricatures of aristocrats attempting to hunt. In the decades before 2004, after which college wings were constructed from 210 to 220 Leicester Street, the M V Anderson Room was used for drinks, formal dinners and Council and Member meetings. The Tin Alley Players, a theatre group for graduates that began in 1939 and performed for over fifty years, held meetings and readings from 1962 with the purchase of Gladstone Terraces to 1980 when the company closed. The Room has also been the learning and social gathering place for a variety of graduate groups, some of which continue today, such as the Italian Conversation Group (which meets for dinner every second Tuesday evening), the Women’s Forum (on the mornings of the third Wednesday of each month, followed by a lunch), the Bridge Group (every Wednesday evening) and the now-named Friday Drinks and Dinner group. Today the room is a haven for Members to sit and read the daily newspapers, periodicals that include Time, The Economist, New Scientist and Australian Geographic or a book from the interesting library collection, while enjoying a leisurely morning coffee or afternoon tea. Studying, working and retired graduates gather here in this common (combination) room regularly in an informal relaxed manner away from the bustle of life, to think, to learn, to discuss, to study and to read. 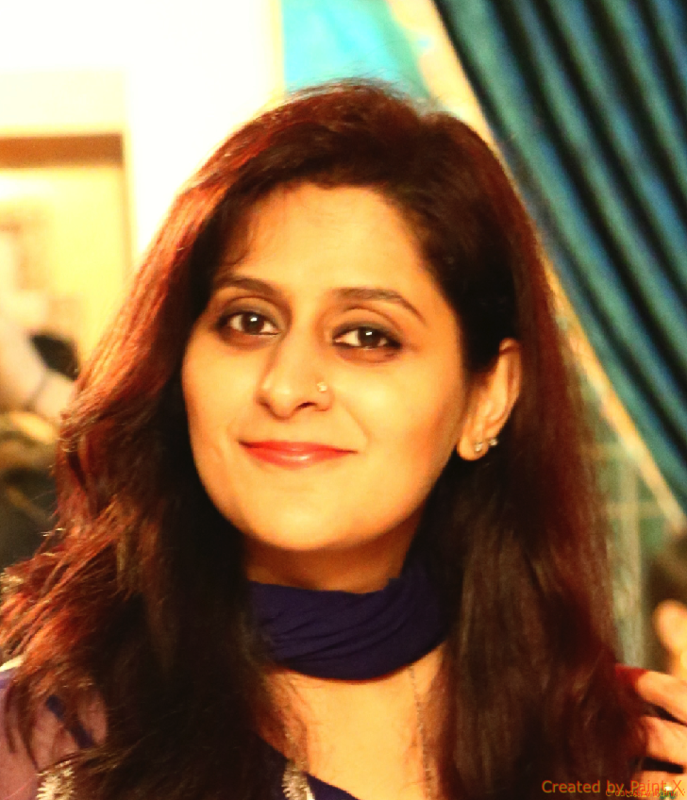 Attiya is an Australia Award Scholar from Pakistan. 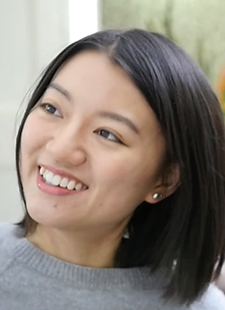 She is a wonderful contributor to college life, a member of the Fundraising and Benefactions subcommittee and undertaking a Master of Education degree within the Graduate School of education at The University of Melbourne (due for completion end 2019), after having gained a Masters of Interior Design. Prakarn (also known as Mac) is from Thailand. He is a barrister and solicitor practicing mainly in civil and criminal law, holds a Bachelor of Laws and is undertaking a Master of Public and International Law, at the Melbourne Law School, The University of Melbourne (due for completion now). Mac intends then to pursue his interest in human rights. Imogen has contributed greatly to the collegiate experience by her support of our JobFocus group sessions, which assist earlier career Members to gain employment, giving much opportunity to share experiences and strategies along the job seeking journey. Imogen appears in our first mini-film for our Diamond Jubilee Fundraising Campaign, where she eloquently assists us to promote Graduate House as a graduate Association, residential college and a facilitator and supporter of life-long learning. Imogen has this year completed a Master of Management (Accounting) at The University of Melbourne. She holds also a Bachelor of Science in Mathematics from University College London. 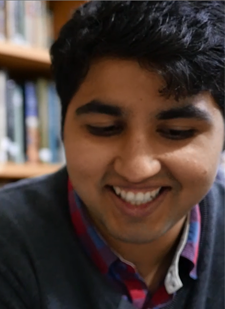 The second M V Anderson Award in 2017 was presented to Shubham Rawal, who, at the time of the award, was undertaking a Master of Engineering at The University of Melbourne. Shubham holds a Bachelor of Technology (2014) from Indraprastha University in India. Shubham has contributed greatly to the collegiate experience by providing information technology advice to us, through his support of our cultural dinners and by appearing in our first mini-film for our Diamond Jubilee Fundraising Campaign, where he eloquently assists us to promote Graduate House as a graduate Association, residential college and a facilitator and supporter of life-long learning. At the time of her M V Anderson Award in 2016 Rofan Teo was undertaking a Master of Teaching (Primary). Rofan holds also a Bachelor of Arts in Art History and English Literature (2002) and a Postgraduate Diploma in Art History (2004), both from The University of Melbourne. She has contributed greatly to the collegial experience, assisting particularly with communications amongst the resident members and through her support of college welcome events. 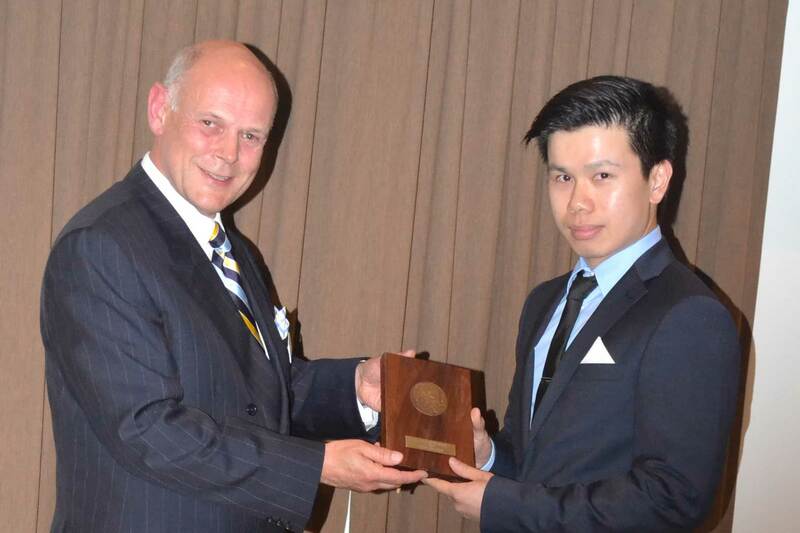 The second M V Anderson Award in 2016 was presented to Yicheng (Frank) Zhou, who, at the time of the award, was undertaking a Master of Education, specialising in Mathematics. 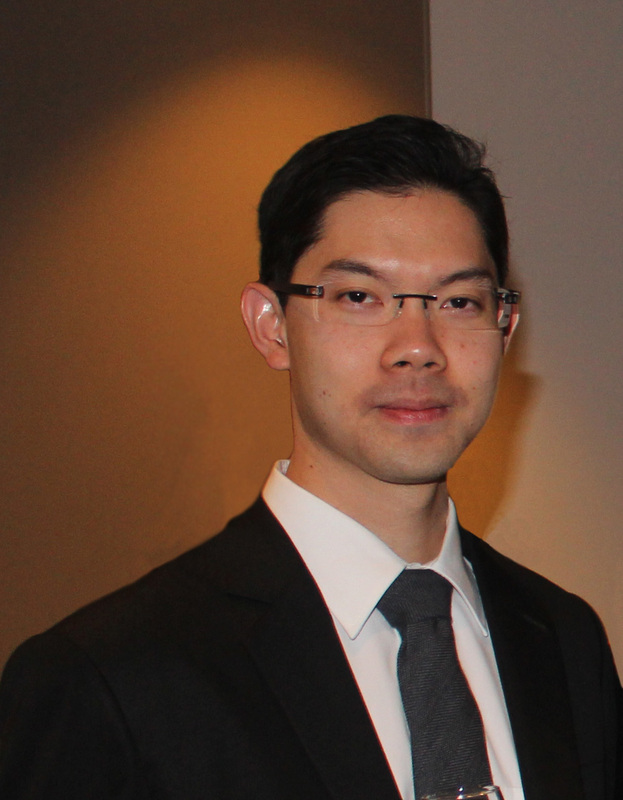 Frank holds a Bachelor of Engineering (2007) from the University of New South Wales, a Graduate Diploma in Economics (2013) from the University of Waikato and a Graduate Diploma in Education (2014) from the University of Adelaide. Frank adopts a very welcoming approach with fellow Resident Members and comes along regularly to monthly luncheons. He is particularly thanked for providing a bell to assist in alerting the onset of proceedings for these luncheons. Julia Melanson, at the time of this award, was completing a Doctorate in Physiotherapy. During her time at Graduate House, Julia has assumed the role of events coordinator of the Graduate House Student Group, organised the college balls and has been instrumental in organising events including cultural dinners, welcome tables and Friday trivia nights. 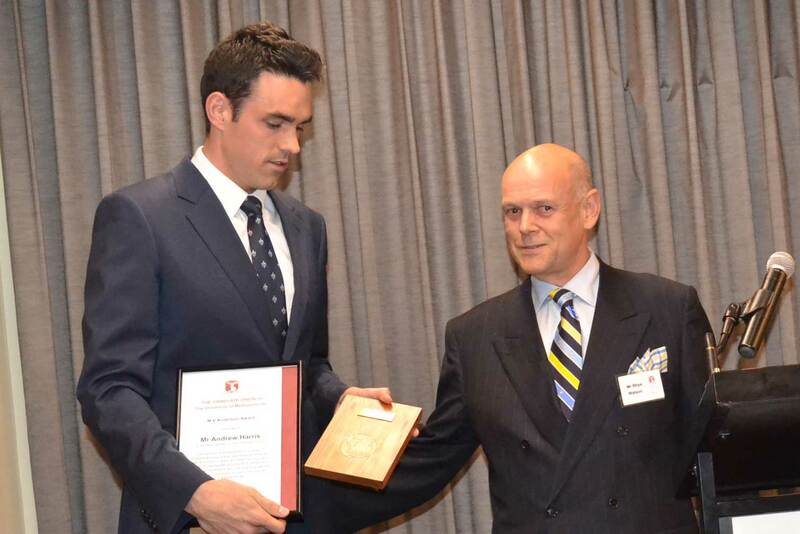 The second M. V. Anderson award in 2015 was presented to Oliver Lovell, who was completing his Masters of Teaching, Secondary specialising in Mathematics and Physics. His contribution as the Environment and Social Justice coordinator of the Graduate House Student Group has been pivotal. He worked with others on such college initiatives as the welcome table and the ethical purchase program, while also delivering tutorials and relief lecturing to students at The University of Tasmania. From July 6th till 8th, 2015, thanks to the help of a very generous Graduate House Bursary award, I was lucky enough to attend the Australian Association of Mathematics Teachers’ (AAMT) national conference at Adelaide University. The three days brought together several hundred teachers from across the country to meet, network, and discuss how best to teach mathematics students and keep them engaged and motivated. It was an amazing three days. I met some incredibly inspiring teachers and learned some fantastic techniques for the mathematics classroom. Some of the most inspiring things for me were to learn about the ‘Scaffolding Numeracy in the Middle Years’ project, a project that has worked successfully with Year 5 to 9 students to help them develop their multiplicative thinking. I was also fascinated by the work of Erin Gallagher in training pre-service primary school teachers in Canberra. By using a mastery approach (i.e., allowing students to re-sit tests as many times as they want and requiring high marks on all competencies in order to pass) Erin has greatly improved the abilities of these primary school teachers in training, along with their attitudes towards mathematics. Finally, I was fascinated to learn of how new basketballs with motion sensors in them are now being used to engage Indigenous students more in Mathematics, by tracking key information whilst playing that can then be analysed later on in the classroom. I now feel much more connected to the Australian Mathematics Teaching community and I’m currently co-planning a workshop entitled ‘A Practical Introduction to Appropriate Social Media for Teachers’ for the upcoming Mathematics Association of Victoria conference in December. I’d like to sincerely thank Graduate House for its support to attend this conference. It has been a formative experience in my development as an educator. I was born in Madurai, a temple city which is popularly known as the Athens of India because of its rich cultural heritage. At the age of nine, my journey started with a tearful goodbye to Madras to start schooling in Malaysia. As exciting as the new country, new friends and the new culture were, it was initially difficult to have an entirely new language, which is the Malay language, as the medium of instruction at school. Nevertheless, it was an absolute adventure! I went on to do my Bachelors in Biomedical Science at the National University of Singapore (NUS). My tertiary journey continued at Monash University for Honors in Medical Bioscience. While aspiring for a Doctor of Philosophy (PhD), I managed to explore a different field, Masters in Business Administration (MBA) at the International Laureate University (INTI) in Malaysia. Though it was a packed schedule for this one year curriculum, it was extremely fun and the fact that I could simultaneously appear for Masters in Management Science at Hertfordshire University was an added bonus. Then came the much-awaited offer of candidature for a PhD in Cardiac Physiology at the coveted Cardiac Phenomics Laboratory in the Department of Physiology at The University of Melbourne. 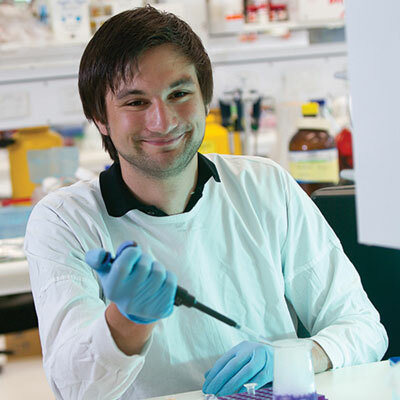 Here, I have been welcomed into an enthusiastic and intellectually stimulating lab team under the supervision of Professor Lea Delbridge where I am pursuing research in a field that I wanted to explore – Diabetes and Heart Failure. 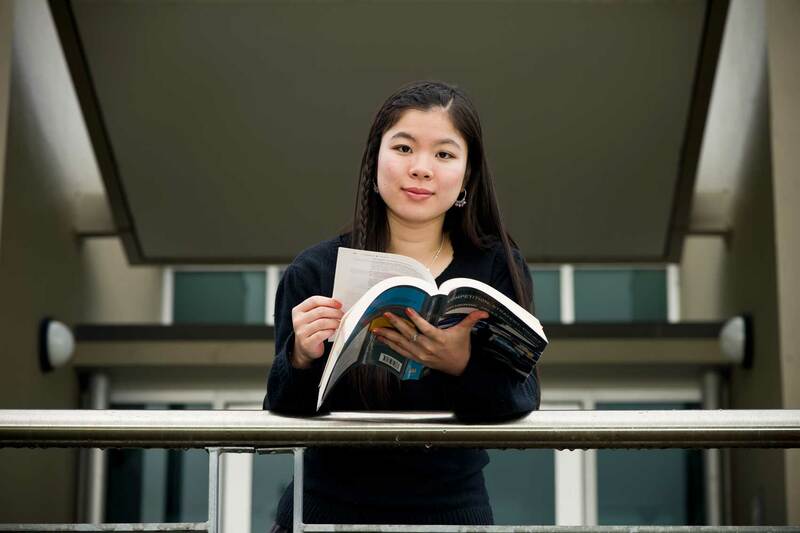 I was fortunate to secure accommodation at Graduate House when I came to Melbourne. Being part of the small graduate students community here, I have been able to meet and foster friendship with people from different disciplines, different walks of life and countries that I have only seen on maps before. Proximity to my laboratory and security have given me the freedom to work long hours and the friendly staff members make us feel at home by mothering (and to an extent spoiling) us with hot meals, clean rooms, well-made beds and warm smiles. The College Tables and Twilight Lectures conducted here give us ample opportunities to interact with exceptional minds from various field for our professional development. The Graduate Union also nurtures graduates with scholarships and I’m indeed grateful to get one too. 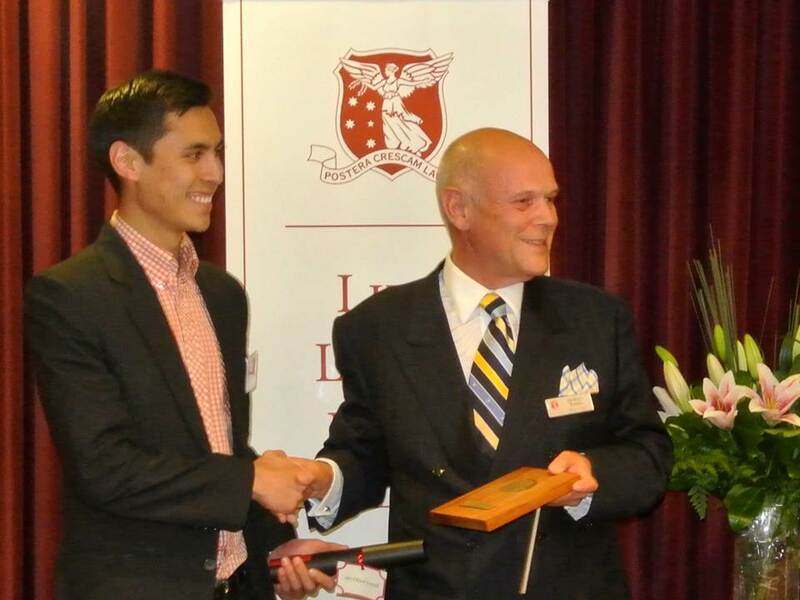 The second M. V. Anderson award in 2014 was presented to Chieh-Yu (Jai) Chen who was acknowledged as a strong contributor to inter-cultural relations in college through his role as Vice-President of the newly established Graduate House Student Group Committee (GHSG). Jai holds a Bachelor of Science in Health Science and, at the time of this award, was undertaking his Masters of Nursing Science. He also contributes as a volunteer to the Australian Red Cross as a First Aid Officer and as a direct care counsellor, and provided basic first aid training to residents during his residency. I grew up in Johannesburg, South Africa. After finishing high school, I moved to Cape Town to complete my undergraduate degree in Chemical Engineering. While I was there, I was awarded a bursary with Anglo American which is a large diversified mining company.After graduating, I left the beautiful beaches and mountains of Cape Town for the much less picturesque mining town of Rustenburg in the North West Province of South Africa. This province is known as the “platinum province” because of the vast platinum ore deposits in the region. I joined the Anglo graduate program as a metallurgist and spent three and a half years gaining experience on many of the Anglo American Platinum processing plants throughout South Africa and Zimbabwe. Despite gaining wonderful experience, my feet started to itch and I found myself thinking more and more about broader business issues. This drove my interest in obtaining a Masters of Business Administration. In August 2013, I joined the full time MBA (Masters of Business Administration) program at Melbourne Business School which is just next door to The Graduate Union. The Melbourne Business School and The Graduate Union have been great places for me to meet like-minded people from diverse backgrounds. Staying here has really eased the transition to Australia for me and Melbourne has since become my second home. I have been trying my best to get out and about whenever possible. The Melbourne Cup, footie games at the MCG, wine tours to the Mornington Peninsula as well as the Australian Open tennis have all been highlights for me so far. I am looking forward to graduating in August. I already have many fond memories from the few months I spent in Melbourne and I am sure there are still many more ahead. I grew up in Brisbane. For some reason I chose to do International Hospitality and Tourism Management as my undergraduate studies, something I received an award for but ultimately didn’t enjoy much. I feel much happier and at home in my current degree, a Masters of Teaching (Primary) at the Melbourne Graduate School of Education (MGSE). For the decade between my degrees, I lived in Tokyo where I enjoyed combining two of my favourite things, theatre and children. I spent most of those ten years serving on the Board for the longest-running English-language community theatre company in Asia, Tokyo International Players (TIP). During my time there, I did acting and directing and crewed on many productions; and cofounded TIP Youth which is a children’s theatre program. I also learnt the art of aerial dancing on silks and lyra, a new direction from my gymnastics days. My signature theatre piece was Oliver, a production which I directed with a large cast of sixty-five cast members. On many occasions, I would intermittently have to shout out in frustration when trying to fit them on stage, like a sufferer of some kind of selective Tourette’s. Thirty of those cast members were under eighteen years old. This tendency for the melodramatic was cultured in me from an early age, having been involved in several theatre events in my childhood. When growing up, I oscillated between wanting to be a teacher and wanting to be a voice actor in a cartoon movie. While one of these things is unlikely to materialise, I moved on my way to achieving the other. During my work stint in Japan, I taught English in a variety of settings, ranging from business school to after-school tutoring, kindergartens and nation-wide kids’ clubs. My favourite among these has to be World Family, a kind of “edu-tainment” company, in which I performed in shows and ran camps at a variety of locations around Japan. I would describe my work for World Family as being a cross between The Wiggles and Play School. We would travel around to many places, from big cities to small towns where our club members would gather to see our shows. These performances were a combination of pantomime, dances and stories, and were always filled with singing. Our members, from infants to early teens, would join us in singing, playing games and yelling ‘he’s behind the tree!’. So the children theme was strong in my life. It had to have been cultivated at an early age. I have been baby-sitting since I was fourteen and now, interestingly, have a strong grasp of tutoring primary students. I eventually returned to Australia in order to get the qualification I needed to prove that I was meant to be a teacher, and to learn the theory behind the practice by enrolling at Melbourne Graduate School of Education. In 2013, together with a team of fellow graduate students, we developed a relationship between the Royal Children’s Hospital Education Institute and the MGSE. The three of us in the team were recognised and awarded a Dreamlarge Grant from the University of Melbourne. We successfully assisted in the Jumbunna Film Festival which displayed the talents and courage of young patients in various wards. This was a fabulous kick-off for a relationship that we hope to nurture. As Teacher Candidates, the opportunity to teach in varying educational settings with such different situations and requirements is important, and the opportunity of experiences like these are what it takes to make us adaptable teachers. On my move to Melbourne, I chose my living arrangements very carefully. On first impression, the draw of Graduate House was largely not having to share with undergrads. Then I realised that it was much more of a community than people studying and keeping to themselves. I have made many friends from various walks of life, and countless acquaintances who, during their very brief stays, have made mealtimes the setting for fascinating conversations. I hope that in my time as Duty Resident, I am able to give back to Graduate House by contributing to the constant improvement that I see happening here. I thank The Graduate Union and its Members for the recognition in being one of the recipients of the M V Anderson award in 2013. Jennifer Wu has a Bachelor of Business and Commerce and, at the time of this award, was undertaking a Masters of Management. Her main interests are management, accounting and investment. After having experienced a three-month internship in a Fortune 500 pharmaceutical company, she realised that her passion lay in the financial management of industries that have a social welfare charter. Jennifer believes in and supports the collegial model at both local and international levels. She recognises the unique opportunity afforded daily in this college to interact and form productive lifelong networks with resident and non-resident graduate members from multiple disciplines, perspectives and fields and is active in promoting the global network of graduates who are collectively socially responsible. Matthias Könning has a Masters degree in Biochemistry and, at the time of this award, was undertaking doctoral studies in Neuroscience. His interest is in the production of myelin proteins that influence the strength and health of the insulation around nerve cells that is essential for the rapid and efficient propagation of the electric pulses required for proper brain function. His research on the regulation of myelin production has been presented at a Neuroscience forum in Barcelona and he has been invited to join a special program for forty PhD students to network with leading experts in the field. His research may find a way for cells to produce myelin and repair damage done in such devastating neurological conditions as multiple sclerosis.